Here are some great opportunities to play. 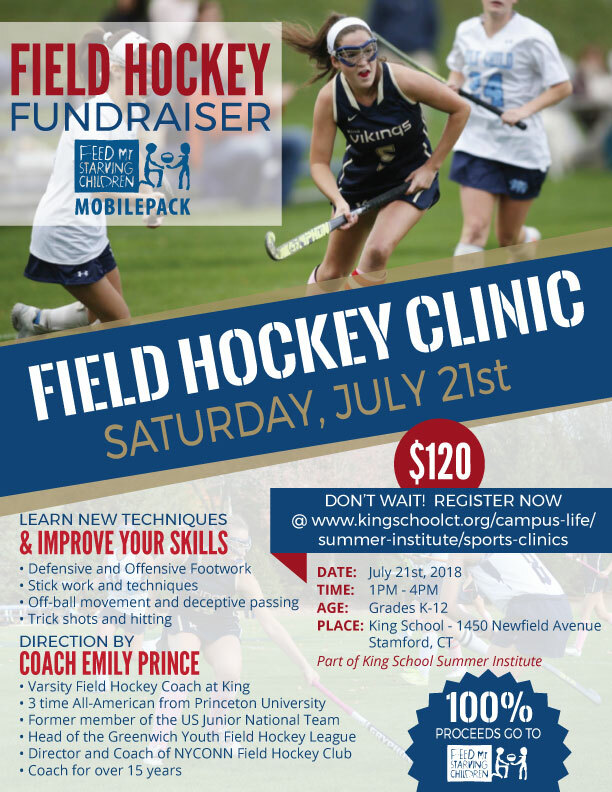 Field Hockey Clinic to benefit “Feed My Starving Children"
Your 100% tax deductible donation of $120 will feed a malnourished child for 1 1/2 years. Date: June 23, 1:00 p.m. - 4:00 p.m.